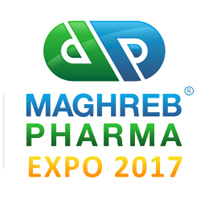 From 3rd – 5th October, Maghreb Pharma returns to the Safex exhibition centre in Algiers, Algeria. Visitors can connect with over 190 exhibitors from more than 25 countries to discuss pharmaceutical manufacturing, ingredients, packaging, machines and laboratory equipment. The exhibition covers the entire supply chain for local and international pharmaceutical manufacturers. During this edition, several key note speeches, workshops and live demonstrations will be available. Russell Finex will once again exhibit to present a wide range of separation equipment specifically developed for the pharmaceutical industry. The Russell Compact Sieve® is the ideal vibratory sifter for high capacity safety screening of powders and liquids. This innovative check-screener can be tailored to suit your specific processing needs and reduces downtime as it can be cleaned and stripped down without additional tools. Thanks to its small footprint it can be easily integrated into your existing production line. During the exhibition, Russell Finex will also showcase the most versatile vibrating screener on the market. The Finex 22™ Sieve can be utilized for safety screening and accurate grading of powders and granules. A standard motor is installed instead of a vibratory type to lower maintenance. The Finex 22™ Sieve is fully portable and can be used in multiple locations in the production process. Fitted with the Finex 22™ Sieve, will be the Russell Vibrasonic® Deblinding System. This ultrasonic separation solution enables sticky powders to be sieved on a finer mesh. Thanks to high ultrasonic signals, mesh blockage is reduced which allows for higher throughput. Thanks to its innovative design, the Self-Cleaning Russell Eco Filter® improves your product quality and also reduces the amount of production downtime. This high-performance industrial filter not only reduces product loss, but also provides a processing solution for pharmaceutical liquids. Discover Russell Finex’s wide range of filtration and separation solutions for pharmaceutical processing at stand A33 or contact us for more information about these and other machines.